I was glad to see among the new products announced on the 10th anniversary a pair of hybrid in-ears. Of course, these are also made from scratch by FiiO engineers, without any collaboration with other earphones developers. If F5 had my attention with the detachable cables and with titanium-clad diaphragm, F9 has caught my attention with its unique hybrid design and PEK dynamic diaphragm – for the first time used in the development of a dynamic driver. 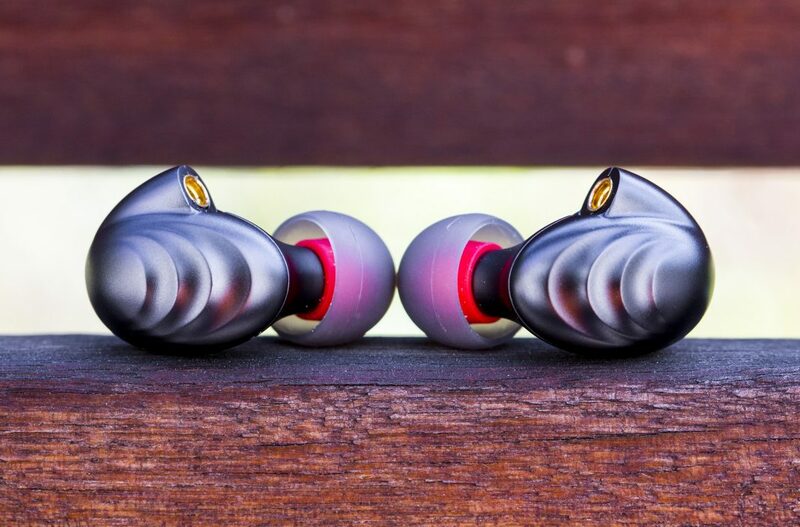 F9 are not your average earphones because bass will be handled by a dynamic driver having a diameter (Ø) of 9.2 mm, by mids and treble will take care two balanced armatures, both parts handled together by a custom crossover. F9 will be sold in 2 variants: F9 SE that doesn’t have detachable cables and F9 that has two detachable cables in the package. A normal 3.5 mm cable that also has wired controls (call answering, volume + and -) that will work with Android terminals, unfortunately not with iOS. The other cable is a balanced braided 2.5mm OFC cable – at first touch it gives the impression of good quality. We will test both connections (SE and BAL) in our sound tests. There are also six pairs of ear tips, three black ones – that offer a quite neutral sound, and three grey with red on the inside that emphasize the bass. The rigid plastic carrying case is nicely build, it is also water resistant. 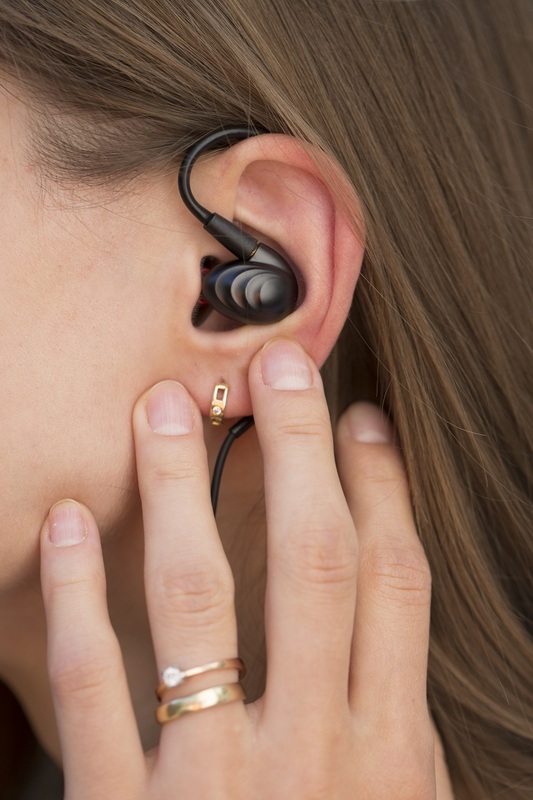 On the opposite side, the earphones are attached to the cable via the MMCX connector, which is also found on the F5 or on Shure IEMs. 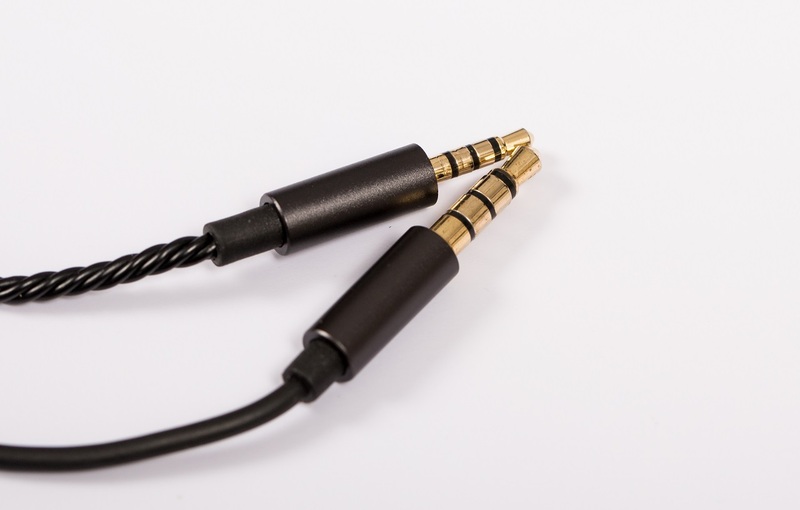 Removable detachable cables are a good thing, the universal MMCX connector also used by other manufacturers is a good thing as well. In case of a malfunction, they can be replaced quickly and easily. A good hybrid design is not easy to implement: we have to deal with three frequency bands played by three different drivers, all three controlled by a custom crossover. I realize that most of the resources were focused precisely on this part. The dynamic diaphragm that handles only the bass is not a simple cellulose one, it is made from polyether ketone (PEK) which is part of a very rigid nano-composite polymer. 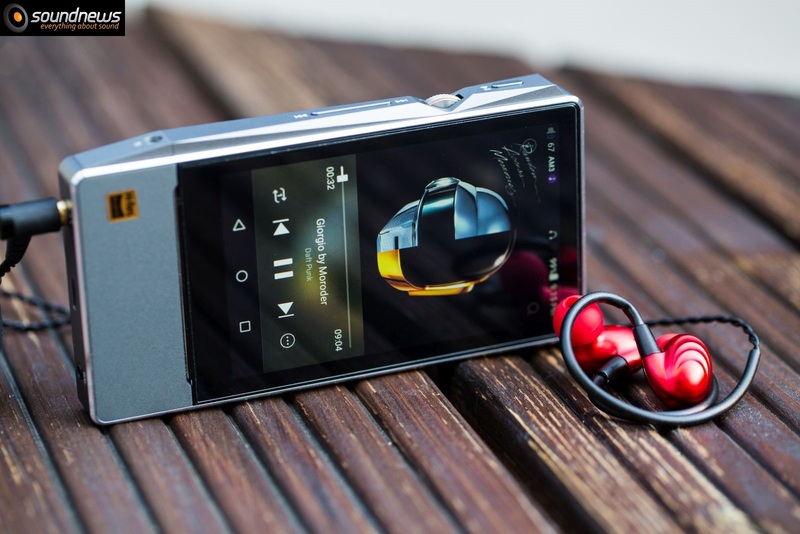 From what FiiO showed me, it seems to be extremely rigid and light weight, among other things it is more resistant than beryllium and titanium! Due to the extremely small working space, Ø of the dynamic diaphragm is only 9.2 mm VS 13.6 mm in case of F5 earphones, this small thing will have quite an impact on the bass that we will be discussing very soon. Balanced armatures which are often used in top designs around the world, will surely add extra audio performance to the mids and treble. 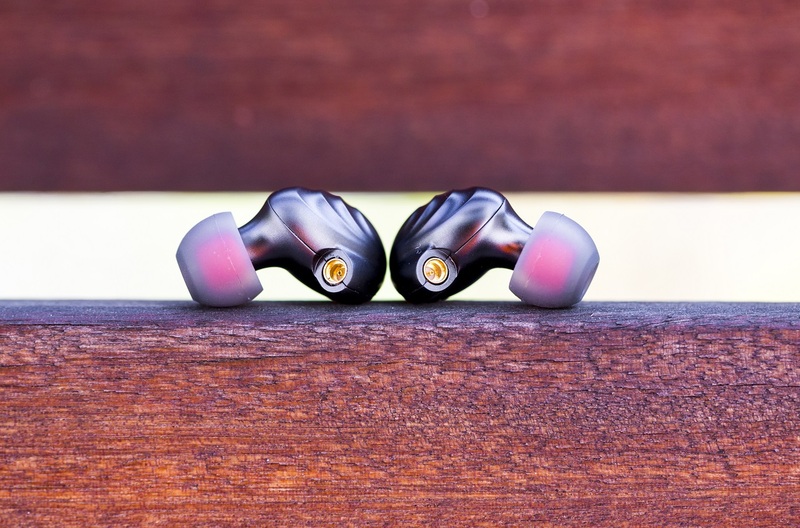 In the metal body of the IEMs there are two small holes that are actually ports that eliminate some of the energy and vibration of the diaphragm, the other port eliminates the air pressure that accumulated between eardrum and the ear-tips. Comfort is enhanced due to the lack of air pressure in the ear canal but also due to soft and elongated soft-touch ear tips. Regarding comfort I have nothing to reproach, sometimes I wear them for two to three hours and I forget that I have to get them out. OK ok, but how do they sound? F9 have been tested both on a portable setup and on a good desktop system. 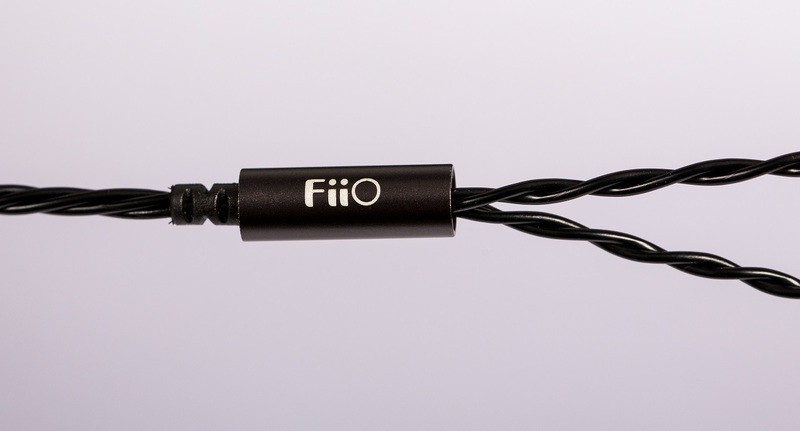 For outside listening we used F9 together with a FiiO X7 MKII from which we received exceptional results both on the SE and on the BAL outputs. On the desktop system we just had to take care of the gain and volume not to fry them. F9 are extremely efficient, delivering 106 dB from a single milliwatt of power, it can be driven by virtually anything that has a headphone jack. 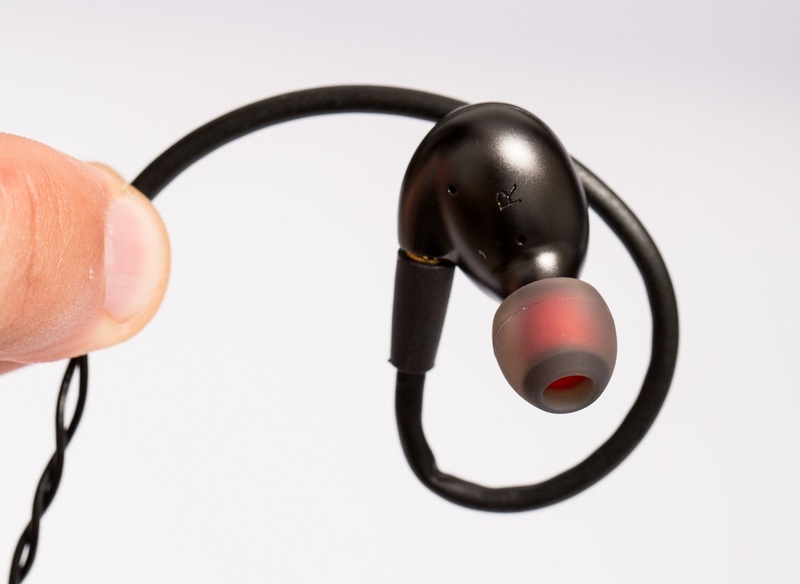 F9 might be the most efficient portable earphones I’ve tested. Don’t be mislead by these numbers, adding a small but dedicated headphone amp will have a nice impact on audio performance. In particular, bass becomes more controllable, striking faster without leaking over the mids. First impression is a pleasant one; from the start I have a feeling of an airy sound with tons of micro-details extraction and refinement. I can not help mentioning a very different bass performance from what I’ve heard in F5. As a little note, I used F9 mostly with gray tips because they gave me a better bass depth without disturbing the speed or impact, only with these tips they came close enough to the bass performance of F5 – which among other things is excellent. F9 gave me a more accurate and faster bass, almost lightning fast, unfortunately losing a bit of depth and extension. Especially on the sub-bass I feel that there is a small lack of information. Although the bass depth will not impress Beats fans, the rest like speed, impact and detail – are at a very high level! It seems that the small but very rigid and light diaphragm is doing its thing. Putting the earphones under the magnifying glass on faster music, I feel I just cannot keep up with them. Fast music will never sound crowded, slow or muddy. F9 delivers a very fresh, dynamic and explosive sound. Fast music lovers, where dynamics rise so fast will really appreciate F9 performance. Due to the rapid execution of the sound there is no delay and the notes will not linger too much, so listening to jazz music or generally slower music can be a problem. 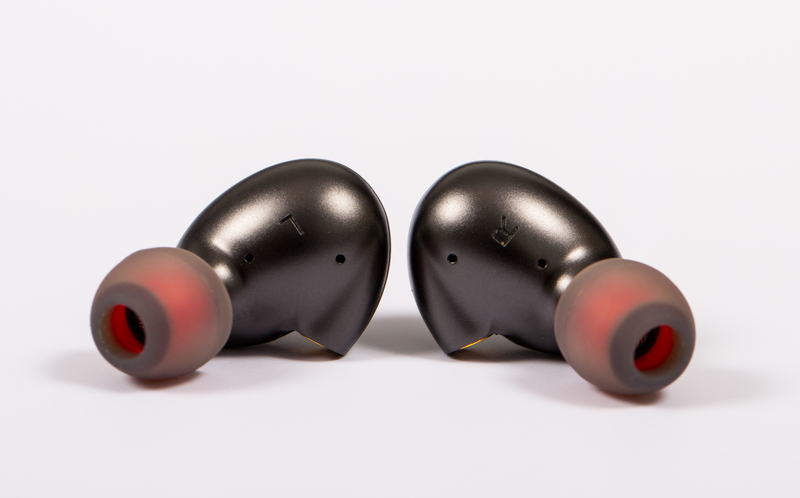 F9 are aggressive and immediately pumps adrenaline into blood, if that bothers you, you might want to check other IEMs. The lack of a warmish sound signature again creates the impression of a metallic, technical sound, which affects musicality a little and maybe even the soul of music. Voices sounded very guttural, pleasant and well-rounded. Pink Martini and Leonard Cohen sounded very contoured and well delimited from the rest of the notes. Voices sounded like a separate entity to the rest of the notes, Cohen with his super guttural voice sometimes gives the impression of whispering in the ear, this little details will not be hidden. Although the voice is very contoured, the weight of it suffered a bit. As if the voices were like empty shells, the naturalness and the weight of the voices has suffered a little. When I think about the treble, I think of a two-edged knife. On one hand, the treble is crystalline, with an enormous presence, even more than I would like it to be. Highs are extra detailed and delimited by the rest of the notes. On other hand, I have the impression that I hear a rise up to the 10 Khz zone, which sometimes bothers me on some recordings. Sometimes a surgical and disturbing „tsss” can be heard. Do note that both the portable setup and the desktop setup have been tuned for a more honest, neutral and detailed presentation, just as audio engineers have intended, I tried to get closer to neutrality. I’m sure that on a „warmer” system where bass and mid frequencies are highlighted and put more forward, F9 will also sound warmer, less aggressive and will borrow some refinement. Leaving aside the audio spectrum, F9 gives me a truly expanded sound on width and height. The soundstage is really interesting considering that we have to deal with IEM type earphones inserted millimeters from eardrum. I have the feeling that the musicians are a few meters away from me, I can easily locate the distance between them and between me and them, so I think holography is quite nice and it does its job well. Besides the width, the sound is pretty deep, creating an above average stereo image. On the X7 MKII the differences were notable but not huge. all directions, as if the musicians would sing in a significantly larger room. Sound is decompressing itself literally and figuratively using the balanced connection, adding even more air between the notes but stealing little of the bass magic. I accept this compromise, anyway the gray tips will already emphasize bass response, making it even deeper. On the desktop setup where the power reserve is much bigger, the differences tilted close to zero, I didn’t hear a noticeable difference. I think F9 were created more for modern music, full of energy, speed and attack and less for vintage music. The headphones are not forgiving at all, so they will reveal any imperfections of the recording, so I would recommend them for top lossless PCM or DSD recordings and less for mp3s. F9 have lots of technicalities and there were many times I stopped walking just to make sure I heard a hidden micro-detail, I think the slight pitched highs can be overlooked considering the rest of the performance and the excellent price. 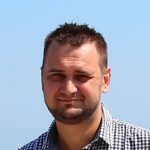 I mean, honestly now, did you know any hybrid earphones with an unique dynamic diaphragm and two balanced armatures at just 100 EUR, it’s hard to believe that can be achieved. Last time I checked some AKG hybrid earphones working on the same principle, but developed having a more serious know-how were about 1000 EUR. I consider the price to be really good for the technical sound they are capable of, in their price segment this are definitely hard to beat. Articolul următorMatrix X-Sabre PRO – Pimp my ride!